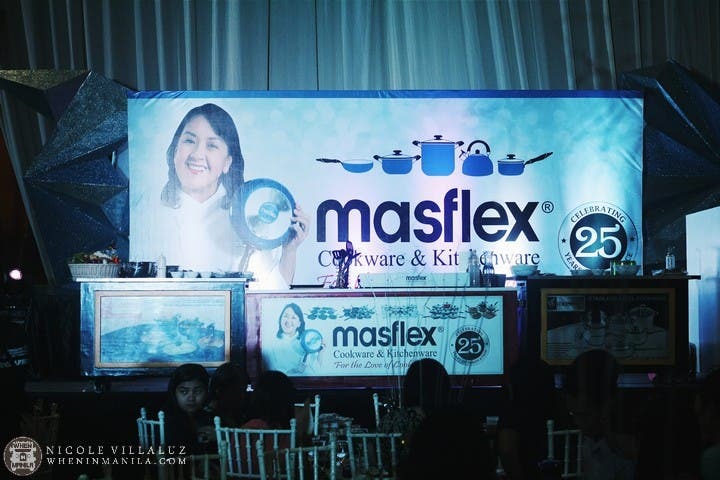 Last June 16th, bloggers, media representatives, foodies, and cooking enthusiasts gathered for a huge celebration as one of Philippines’ top brands for cookware and kitchenware celebrated their 25th year—Masflex. And who doesn’t know Masflex? 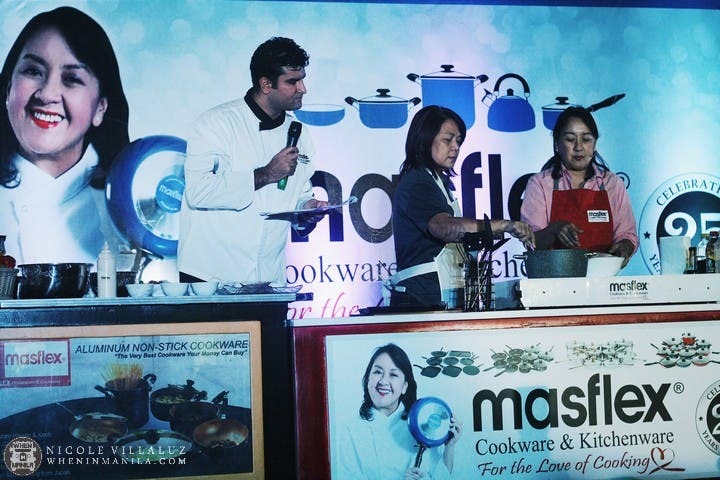 Truly a household name, the brand has established itself as an ever-present product in Filipino kitchens since it was first introduced in the country in 1989. You might even have one in your home right now, without knowing it. I surely know Masflex. Growing up in a big family (and by big I mean aunts and uncles and cousins and cousins of cousins—you get the picture) who would regularly come together for no reason at all but just to be merry, food was, and still is, a huge part of my life. Sitting there at the tent of Le Pavillon at Roxas Boulevard where the Masflex occasion was held, it was nostalgic as Nancy Reyes-Lumen, Masflex’s newly introduced ambassador, talked about her own family and their love for food and cooking that has been passed on from generation to generation. Nancy’s stories took me back to my childhood when my lola would be cooking her special pancit bihon in a larger-than-life wok. Our mothers would be helping each other with the ulam—kare-kare, turbo chicken, and lumpiang sariwa are some favorites. And the kids, my cousins and I, impatiently and over-excitedly waiting for the meal we know would be worth the wait. And they always are. Cooking is not just a chore but an experience, Nancy said during the event. And in cases like in my family, the experience of cooking becomes even more special as it is shared. And I know this to be true all across Filipino families. Transcending from just the act of creating the food, cooking also trickles down to the moment families or friends sit together to share the meal. Again, it is indeed all about the experience. 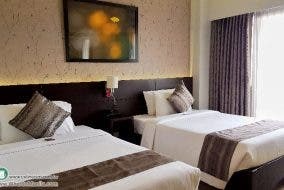 But I wondered—why, of all brands, has Masflex been so successful at penetrating the Filipino market? Back in the late 80s when it was first introduced, kitchen products were either big international brands and therefore too expensive, or of budget but high-risk because of the low-quality materials used to create them. But Masflex was the middle ground—they offered affordable prices for good quality products. They filled a large gap in the market. Well, technically speaking that must be the reason. But there must be something else they are doing right. I discovered what that is when at the big celebration event, food writer and advocate Nancy Reyes-Lumen of The Aristocrat Restaurant’s Reyes family was introduced. She was charming, funny, and down-to-earth. The audience loved her. She even encouraged questions, but gave a disclaimer: “’Wag lang how old am I, ha?” [Just not how old I am, okay?] To which the crowd laughed about. In fact, Nancy knows the heart and taste of the Filipinos so well that she has been advocating to make adobo the national Filipino dish. Makes sense, right? Everyone loves adobo. You can watch more demos and techniques on Masflex’s cooking webisodes! Links at the end of this article. Giveaways were distributed and a raffle occurred as well. But the biggest surprise of that afternoon? Nancy taking over the music. Little may it be known, but turns out, Nancy isn’t just talented in the kitchen, but in performing groovy retro music, too. Abba was her choice of songs. Nancy Reyes-Lumen is many things. A grandmother, mother, sister, media personality, restaurateur, Filipino food advocate, and a fantastic cook, to name a few. But above all, she is relatable. And it hit me—that was it. Masflex is relatable. And it was embodied right there, by the ambassador they chose to be the face of their product. Congratulations on the 25, Masflex! WZ Collections: This Awesome Toy Store in Baguio Ships Nationwide!